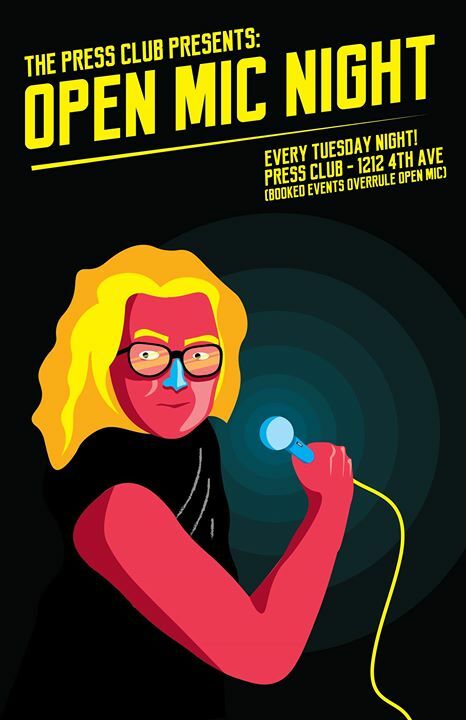 Open Mic Night at Press Club Every Tuesday! No cover. All Ages. Signups at 7pm. Music at 8pm. Come get in front of our microphone and open it up! Share your music, comedy, poetry, or whatever other sort of noises you can make.